A macrobiotic diet (or macrobiotics), from “macro” (large) and “bios” (life), is a dietary regimen that involves eating grains as a staple food supplemented with other foodstuffs such as vegetables and beans, and avoiding the use of highly processed or refined foods. The word “macrobiotic” comes from Greek roots and means “long life”. -	50 to 60% of your diet should be whole grains, 25 to 30% vegetables, 5 to 10% miso and bean soups, and 5 to 10% beans and sea vegetables. -	eat only when hungry, chew food completely, and keep your kitchen tidy. The diet Ohsawa recommended included ten progressively restrictive stages. The last stage of Ohsawa’s macrobiotic diet consisted only of brown rice and water. Due to its extreme restriction, Ohsawa’s version of the macrobiotic diet is no longer recommended by macrobiotic diet counselors. 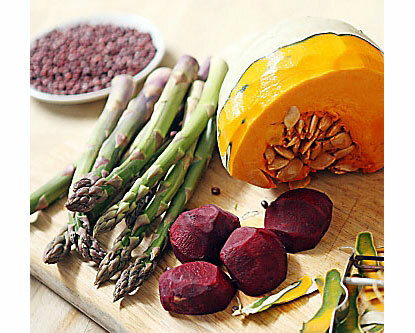 However, despite the modifications that have been made to the macrobiotic diet, some nutritionists still claim that it is too restrictive and lacking in certain nutrients, such as protein, vitamin B12, iron, magnesium, and calcium. Lack of energy (and/or self-righteous bitchiness) may result from following the macrobiotic diet too closely. One look at Gwyneth Paltrow’s self-satisfied blog “Goop” is all the evidence you really need to see…. Copyright © 2006-2019 TID Volumes, LLC. All rights reserved. The Intellectual Devotional is a trademark of TID Volumes, LLC. The book is published by Rodale Publishing and is available online at http://www.rodale.com. Free images courtesy of BigFoto.